Drawing buildings can be a challenge. 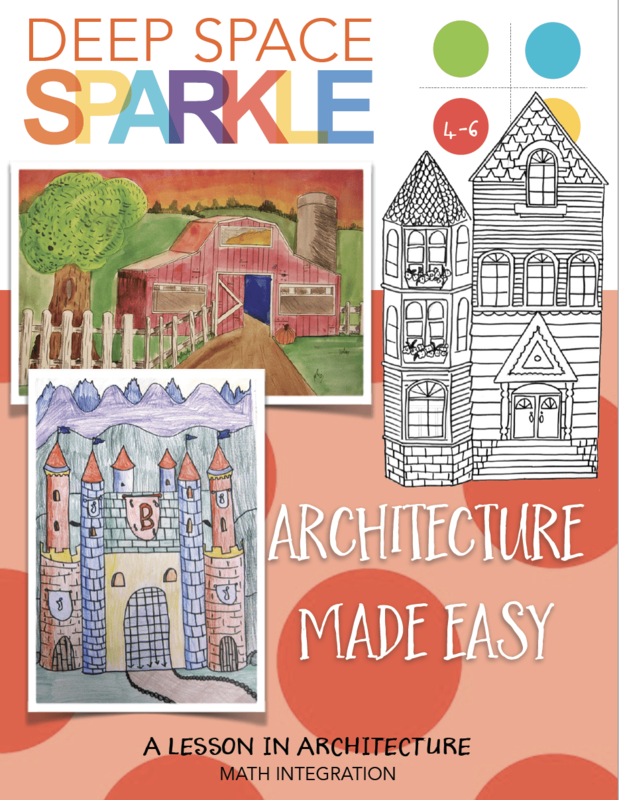 Use the clever techniques in this 37-page PDF to turn every child into a budding architect. The templates provide the basic outline of the THREE architectural structures so that the students can spend more time developing the fun details. Templates provide confidence and structure and eliminates potential frustration when trying to draw the straight lines necessary for these buildings. A perfect accompaniment to a geometry unit. Students use a rectangle template and a ruler to make a grid, then connect the intersecting points to draw a very cool, 2-D barn. Children are amazed to see a familiar structure emerge from dozens of lines and angles. Once the drawing is complete, children paint using watercolors and colored pencils. This lesson is one of the harder lessons I do with my students and makes a great lesson for middle grade students. It takes four to five, 45-minute classes to complete but the results make it one of the more worthwhile projects. An excellent tie-in to a math curriculum. Always a favorite no matter what the grade level. Templates make it easy to draw the facade and towers leaving more time to draw turrets, drawbridges, battlements and Kingdom Banners. Photo-tutorials offer suggestion on how to shade the castle for a 2-D effect. Positioning templates together makes creating your own Victorian home a snap! Drawing handouts illustrate the famous Victorian detailing. Leave as a black and white line drawing or use your favorite medium to color.